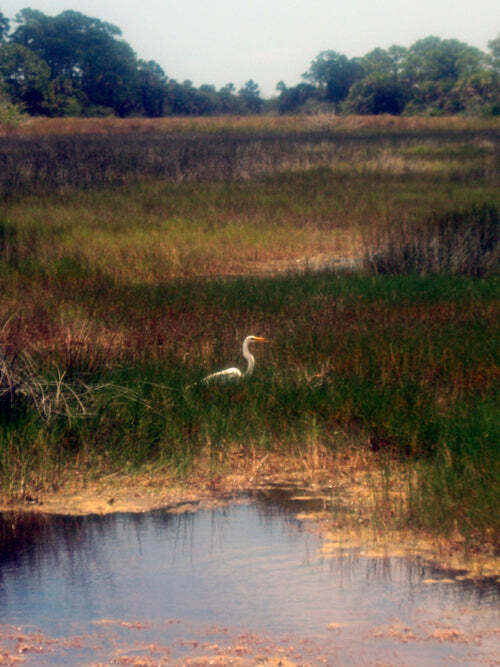 Black Point Drive is bird watching drive with trails that is part of Merritt Island Wildlife Refuge. It is one of my favorite places. Every time I go I enjoy looking at the birds, and it's like this-- "That's a heron. No, an egret... A white egret...?" Oh, a Great Egret. When I went this week I was overjoyed because I spotted some birds and with uncertainty proclaimed they were Avocets. I went home, checked the book, and I was right! The only reason I knew that was because I had drawn them before. So, I decided I will start to draw the birds from Black Point Drive's sighting list, in hopes of learning more of the birds. It really helps to spend time drawing them, painting them, distinguishing the little differences in color and size. 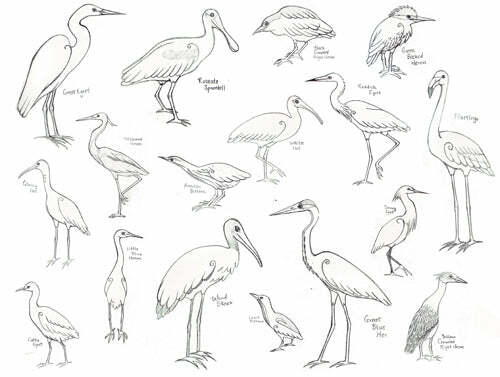 I am starting with the list for "Herons, Egrets, Ibis, Spoonbill", I've drawn them and will begin painting shortly.